Designed to protect your windows and prevent break-ins. 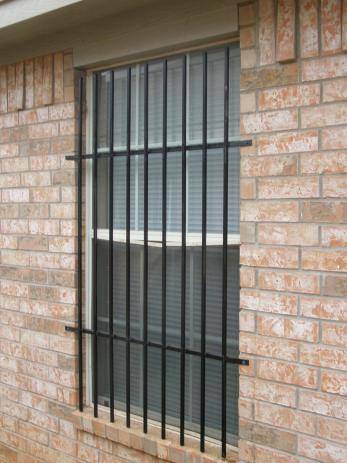 Manufactured from heavy gauge steel bar these grilles will physically stop any intruder from gaining entry to your property. Simple to fit and with a range of sizes to suit all windows and doors our grilles will help you secure your property and give you peace of mind. All the units have simple wall fixing brackets fitted that enable it to attached to the brick work around any window frame. An optional choice exists for a fitted stand off to hold the grilles away from the wall enclosure to enable you to easily operate your windows. The grilles are fully welded giving a robust construction and painted black or white as standard to suit your preference . All our units are supplied with all required fixings. If we don't have your size then call our sales team for a bespoke size quotation .